On my way over to Europe, I reflected on the Cleveland Cavaliers 2016 NBA Championship. It felt arbitrary at the time (and indeed, it may have been nothing more than silly sports nostalgia)… But whether it’s God’s providence or simple serendipity, my thoughts have continued to percolate and point towards deeper truths in my life. The summer of 2014 through the summer of 2018 represented some good years in Cleveland. The Cavs’ championship in 2016 was the crowning jewel — but all four seasons in that stretch resulted in conference championships. The Cavs were relevant in each of these four basketball seasons. I expect history will show that these were golden years for players, coaches, and fans of the Cleveland Cavaliers. Even though these four seasons included challenges like injuries (to Kyrie Irving and Kevin Love, especially)… poor decisions by players (JR Smith dribbling out the clock in Game 1 of the 2018 Finals), coaches (David Blatt calling for a time out he didn’t have in 2015), and front office personnel (letting David Griffin and Kyrie Irving walk away in the summer of 2017)… and losses to end the season in 2015 (4-2), 2017 (4-1), and 2018 (4-0)… some perspective and time will prove that these were good years. Worthwhile years. The “What if”s are not the whole picture. As much as I love the Cavs and could talk a long time with anyone who wanted to chat about basketball — I’ve really come to feel like the Cavs are a useful vehicle for assessing my Amsterdam years. The recent travels to Europe have helped me to gain some healthy perspective on mistakes I made on my way out of Amsterdam, and I’m thankful for the insights that have come along these lines in the last week or so. But really, there’s only so much to be gained from these discussions. Obsessing about the unsavory elements of the Cavs’ run from 2014-15 to 2017-18 ultimately becomes silly, inaccurate, and deranged. 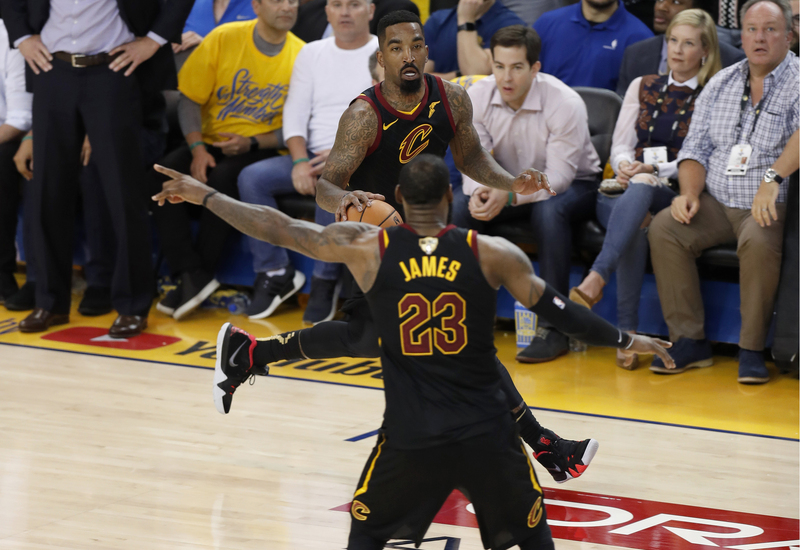 If JR Smith were to get stuck on the last five seconds of Game 1 in the 2018 Finals, and that’s all he ever wanted to talk about — to show his contrition, even if reporters wanted to ask about the 2018-19 season, or his family, or his foundation to help underprivileged children in New Jersey, or his recollections of hitting those big shots at the beginning of the 3rd quarter in Game 7 of the 2016 Finals — then he would be pathetic and pitiful. And if I were to camp out on the mistakes I made in 2011-12 — seeing just my “game-ending blunders” without the “shots, rebounds, and defense” throughout the rest of my time with “the team” — then I, too, would be pathetic and pitiful. Short-sighted, at the very least. I feel freshly grounded in a wider perspective, which I believe more closely adheres to God’s perspective. The first chapter of the Book of Ecclesiastes says, “Generations come and generations go, but the earth never changes” (v. 4). “Everything is weary beyond description… History merely repeats itself. It has all been done before. Nothing under the sun is truly new… We don’t remember what happened in the past, and in future generations, no one will remember what we are doing now” (v. 8-11). “I observed everything going on under the sun, and really, it is all meaningless — like chasing the wind. What is wrong cannot be made right. What is missing cannot be recovered” (v. 14-15). “The greater my wisdom, the greater my grief. To increase knowledge only increases sorrow” (v. 18). A wider, God-sized perspective seems to give up on setting the record straight about “that one conversation” from “that one time” in 2011, or 2014, or whenever. A wider, God-sized perspective seems to suggest that I need to embrace God’s forgiveness. I still want to be sensitive to others, particularly if they feel injured by any of the events of 2011-12. Gratitude and grief from the past are not mutually exclusive. But if my perspective remains planted where it rests at this moment, and it eventually sprouts, flourishes, and produces fruit in my life, I think I will be able to move forward with a new sense of freedom. And I’m pretty excited about that. This entry was posted in Amsterdam50, Church, European Missions, Introspection. Bookmark the permalink.